People spend 75 to 90 percent of their time indoors, so exposure to airborne contamination is greatly increased. About 50 percent of all major office buildings have contaminated heating, ventilation, and air conditioning systems (HVAC). If HVAC systems are not properly maintained, they are a hotbed for growth of molds and bacteria — keep in mind that polluted air causes 94 percent of all respiratory problems. Poor indoor air quality can threaten your health. Most people spend over 90 percent of their time indoors, not knowing that the air they are breathing may be more polluted than the air outside. The Environmental Protection Agency (EPA) has reported that indoor air pollution levels can be 100 times higher than the air outdoors. Breathing contaminated air puts the health of you and your family at risk. In fact, the American College of Allergy, Asthma, and Immunology found that 50 percent of illnesses are caused or aggravated by polluted indoor air. So, take control of your indoor air quality by reducing pollutants that can contribute to headaches, lung irritation, and fatigue, in addition to more long-term conditions such as asthma, allergies, and infectious diseases. There are three types of indoor air pollutants that include particulates, microbials, and gases. Particulates – Particulates are tiny particles suspended in the air and they include residential pollen, dust mites, dust, smoke and dander (skin flakes). Microbials – Microbials include bacteria, germs, viruses, fungi, spores, and mold. Although bacteria are small in size and usually microscopic, they have an amazing ability to do damage to all living organisms, including humans. Many common illnesses are also caused by viruses like the common cold or the flu. Mold can cause infections and destroy property, requiring extensive repair and rebuilding. Gases – Indoor odors are caused by things like pets, cooking, and garbage which exist in every home and office. Gases such as benzene, formaldehyde, chloroform, hydrogen sulfide, and ammonia are released from furniture, cabinets, carpets, cleaning chemicals, insulation, insect sprays, and hair sprays. Manufactures use chemicals to make these products and they off gas, or evaporate, these chemicals into the air in your home. 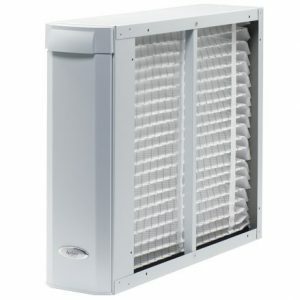 Air cleaning devices are intended to remove pollutants from indoor air. 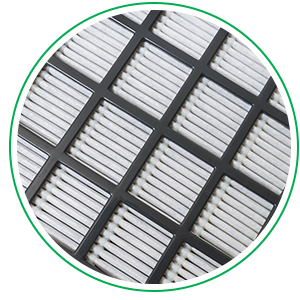 Some air cleaning devices are designed to be installed in the ductwork of a home’s central heating, ventilating, and air-conditioning (HVAC) system to clean the air in the whole house. 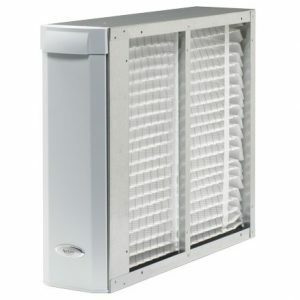 Portable room air cleaners can be used to clean the air in a single room or specific areas, but they are not intended for whole-house filtration. 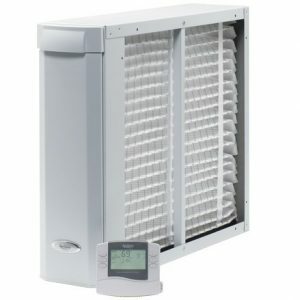 Make sure your home or business is protected year round from harmful air containments by selecting the indoor air quality that fits your needs.